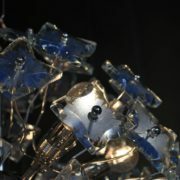 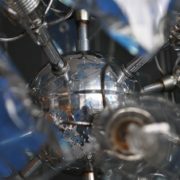 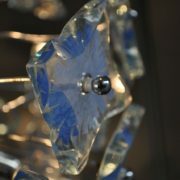 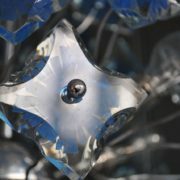 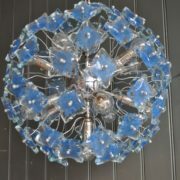 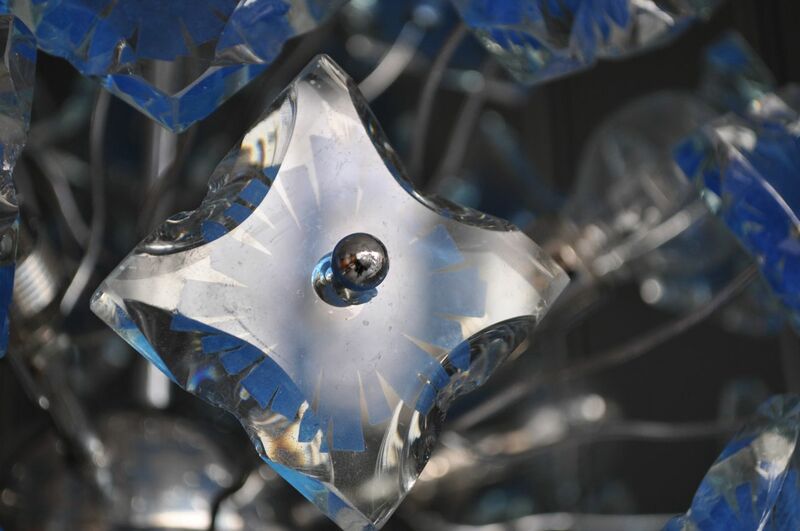 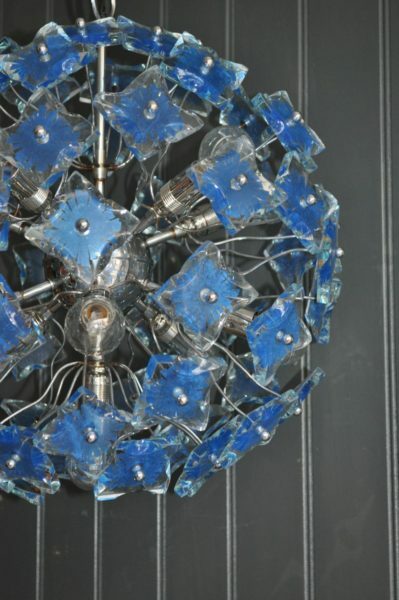 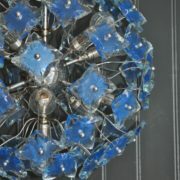 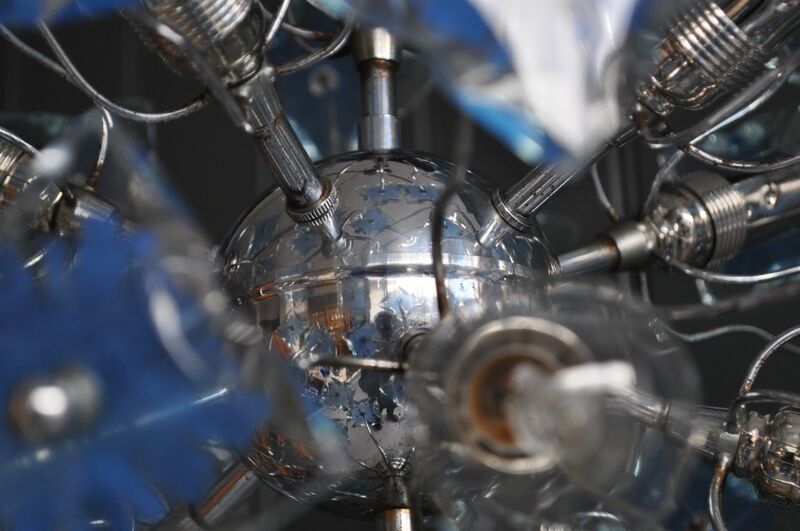 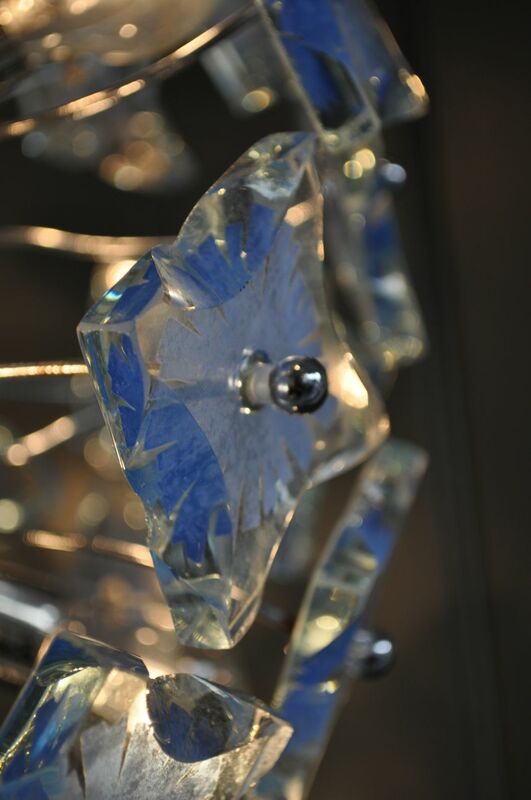 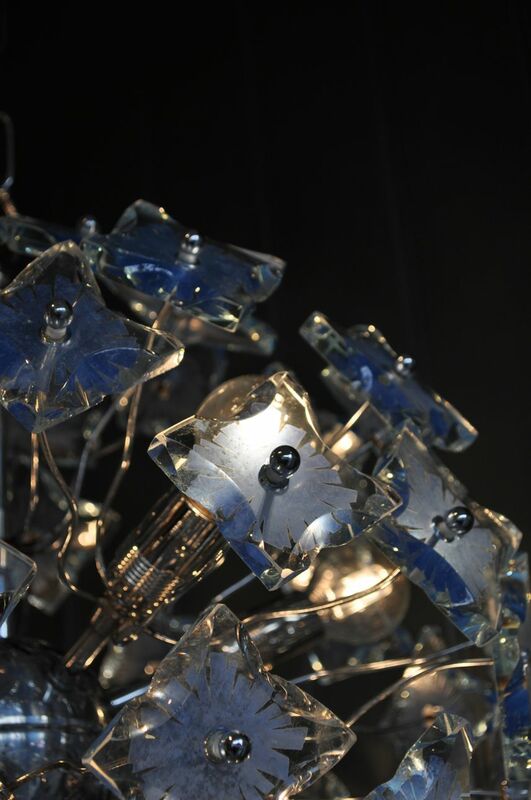 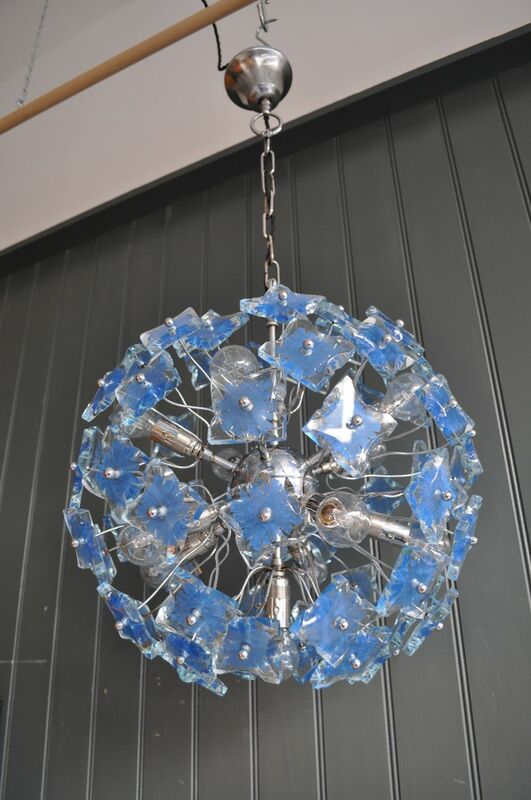 Superb Italian 'Sputnik' style chandelier with beautiful glass squares at the ends of each chrome stalk. 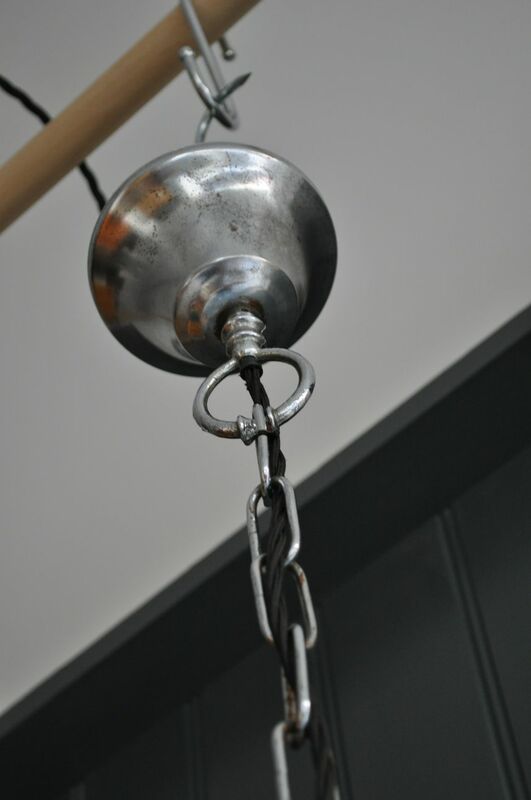 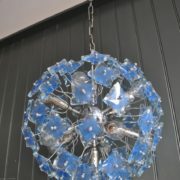 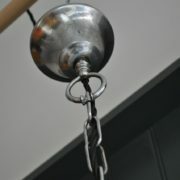 Complete with original chrome chain and ceiling cup, and newly re-wired and Pat-tested and accepts 11 small Es bulbs. 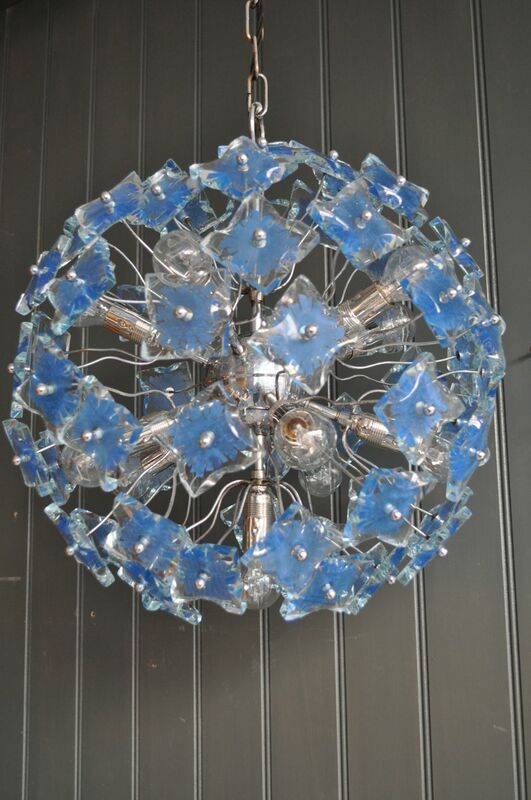 A fantastic centre-piece to any living room.